In the roofing industry, lead is a favoured material. Known for its durability, strength and long lifespan, lead is used to cover some of the country’s most iconic structures, including London’s St Pauls Cathedral. That said, it’s a material that needs maintaining to prolong its life. At Ashbrook Roofing, we strive to bring everything you need together in the one place. 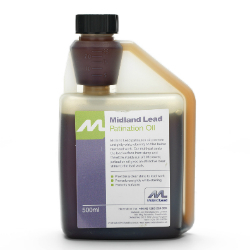 That’s why we stock a selection of lead restorers, lead cleaners & lead patination oils. These products are designed to clean, enhance and protect your lead work. We stock cleaners that are designed for new and aged lead, so whether you’re constructing a new lead roof or maintaining an older one, you’re sure to find everything you need. Did you know that we offer a wide selection of lead roofing supplies, including lead flashing? Whether you’re a professional roofer or an enthusiastic DIYer, we’ll offer the same fantastic trade prices on all of our products. Browse our selection and purchase your lead restorers, lead cleaners and lead patination oils online from Ashbrook Roofing. Make your purchase before 2pm and we’ll deliver your items the next day.